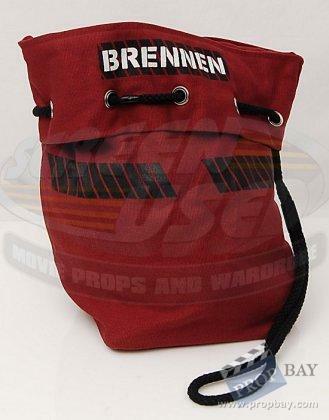 "This bag was used on screen by Matt Damon as 'Jason Bourne'. 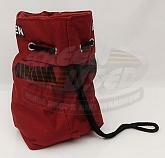 It can be seen in the beginning of the film when he goes to the Gemeinschaft Bank in Zurich and uses it to carry the contents of his safety deposit box containing vital clues to his identity. 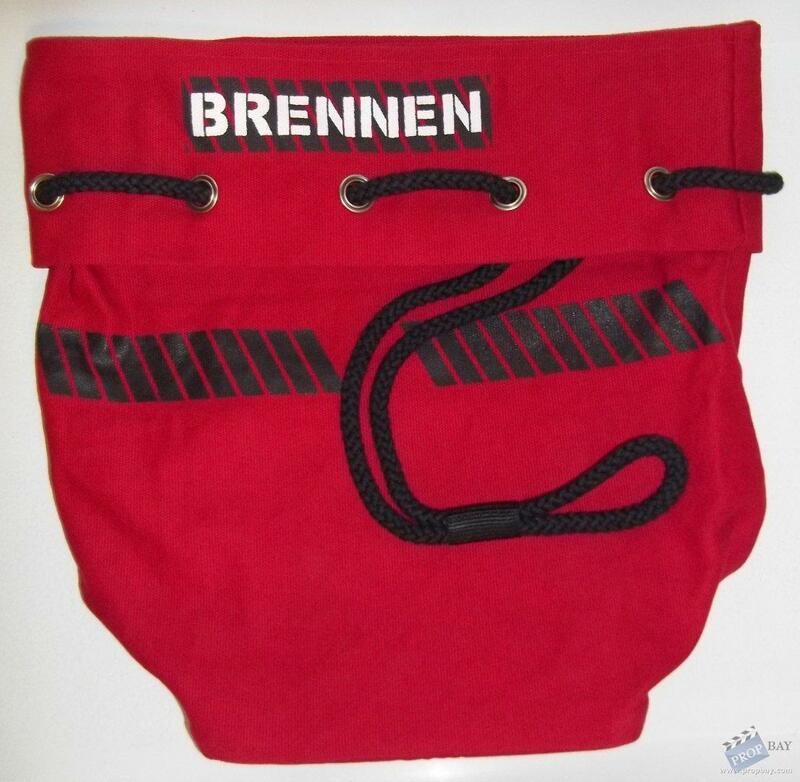 It is a red bag with a black rope draw string and 'Brennen' printed on both sides." 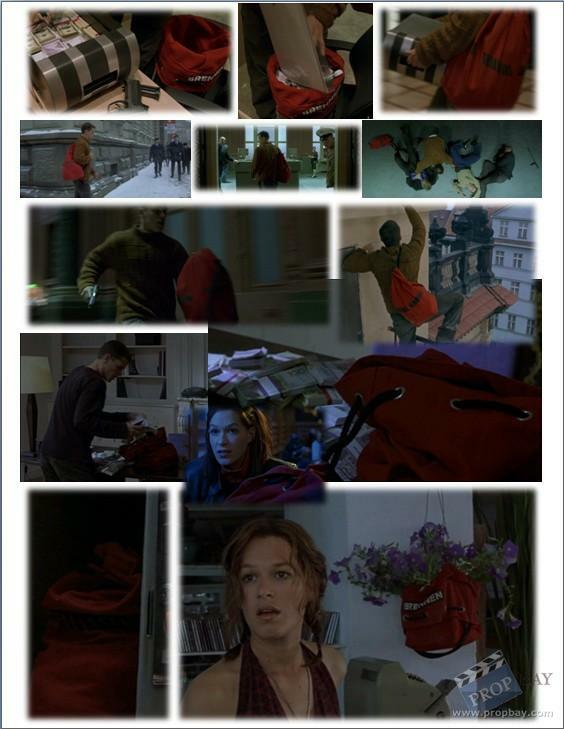 The red bag was used by Jason Bourne's pursuers to identify him at the U.S. Embassy (see link) and is even seen at the very end of the film when he shows up at his girlfriend's beachside scooter rental shop-- it's hanging from the ceiling behind Maria, filled with purple flowers. 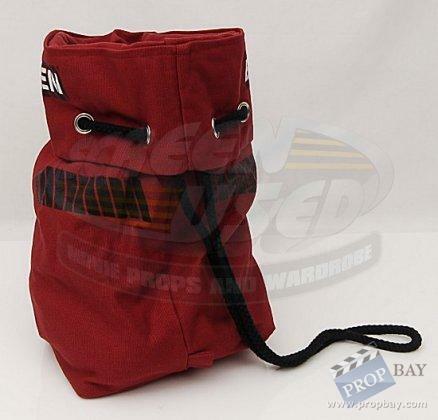 Added: 05-01-2012 - Viewed: 8869 times.